At various times in history wisdom has been highly valued and those who attain it vastly admired and much sought after by those who wished to attain it. 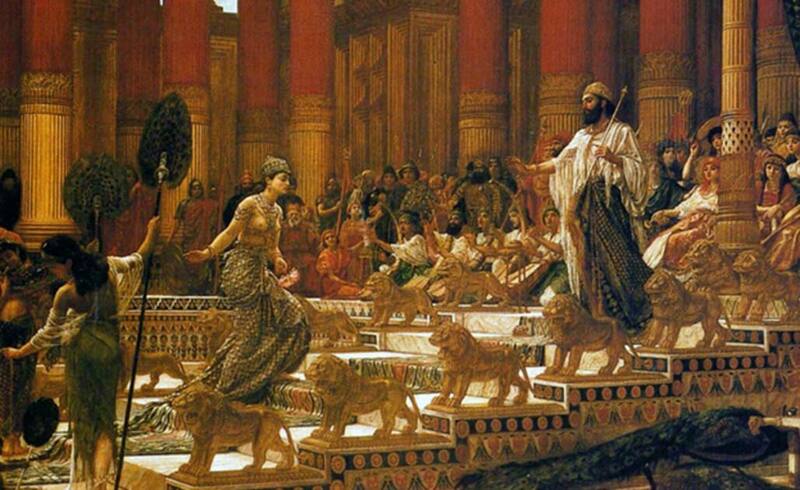 Witness King Solomon and the Queen of Sheba. When the queen of Sheba heard about the fame of Solomon and his relationship to the Lord, she came to test Solomon with hard questions. 2 Arriving at Jerusalem with a very great caravan—with camels carrying spices, large quantities of gold, and precious stones—she came to Solomon and talked with him about all that she had on her mind. 3 Solomon answered all her questions; nothing was too hard for the king to explain to her. 4 When the queen of Sheba saw all the wisdom of Solomon and the palace he had built, 5 the food on his table, the seating of his officials, the attending servants in their robes, his cupbearers, and the burnt offerings he made at[a] the temple of the Lord, she was overwhelmed. The best way to learn wisdom is sit at the feet of a master and drink it in. We used to have a lot of these masters, expounding one form or another of it from our pulpits, our public intellectuals, our schools and as a result, from our kitchen tables. 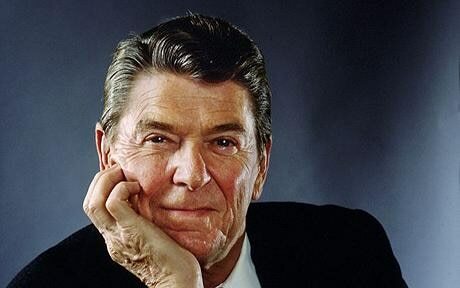 From Ben Franklin to Bishop Sheen, from Abraham Lincoln to Ronald Reagan, words of wisdom went forth and were eagerly devoured by those who loved wisdom. That’s the easy way. The hard way is, well, hard. The hard path to wisdom hard precisely because it is painful. What does not work, has never worked and can never work won’t work for us just because we want it to. And when we try to work it, the results are failure. 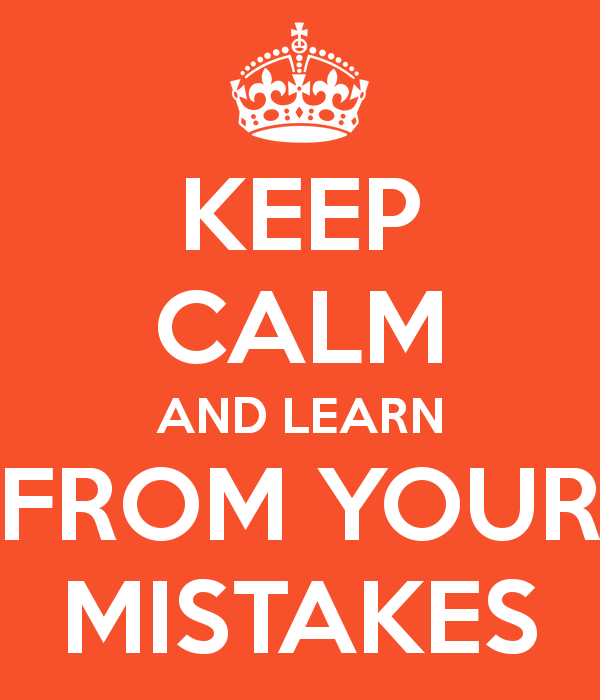 This is called “making a mistake.” The good news is that a mistake is an attempt that did not achieve the desired or expected end, and that, if you survive it, you learned what does not work. So next time do something differently. Ideally, follow the advice of Wisdom. Tears plus contrition are the price we all pay for wisdom. It was a grand, glittering vision that hit a snag. China and Russia did not democratize and liberalize as theory held. The September 11 attacks suggested MENA wouldn’t either. The crash of 2008 warned of the danger posed by bad information in the system. By Obama’s second term the Arab Spring, the European migrant crisis, Russia’s aggressive actions in Ukraine and China’s expansionism should have made it clear the End of History was off course. But Hillary in 2016 somehow managed to miss it even with Brexit staring her staff in the face. Despite its control of conventional wisdom or perhaps because of it, the establishment candidate failed to detect the biggest threat to her candidacy with shocking results. The Left and the Donks are pulling out all the stops not because they are feeling confident of victory, but because they smell defeat in the air and are desperate. They have tied their fortunes to the ravings of a millenarian visionary and while they themselves still believe that the path to power lies in repeating the same tired old, shabby mantras the great mass of the electorate sees them for the shady barking of a threadbare flim-flam artist. The elections next week are a test to see of America has sufficiently awakened from the hypnotic spell of the Socialism Oil Salesman. As patriots it is our proud but difficult duty to do all we can to awaken our countrymen to the danger that threatens us all. Let’s be about it, then. We shouldn’t have to wait for those on the brink of destruction to tell us, we should see it for ourselves. I, for one, am grateful for their witness, despite the rather crude language at times. 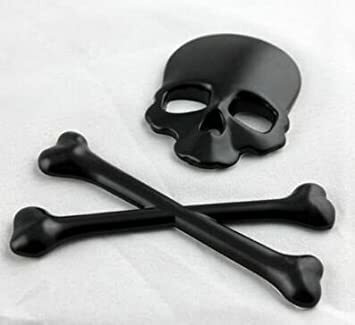 The Commiecrats, disposing of plenty of filthy lucre, seem able to mount false flag operations all over the place at all levels. Let’s look as some of them. 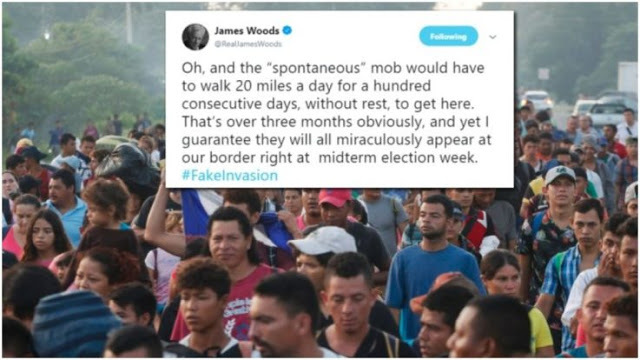 The biggest and most obvious is the “Spontaneous Caravan of Migrants Demanding Jobs.” It is not spontaneous, and they don’t want jobs. It is extremely well funded and organized. The only job they’re interested in is putting pressure on Trump and the GOP, and if they succeed in entering, lining up a nice, cushy spot on the welfare rolls. Another is the “Republican” disruptions of the Candidate Forum at the Burbank City Council chambers two days ago. You can read my report on that event over here. What I neglected to mention is that I arrived at about 6:50 for the 7:00 PM event. I did not know it but there was a fellow Republican who arrived ‘WAY early, and having read my account from that point forward gave his testimony about what happened before I arrived. I have xis permission to repeat it here, which I do in its entirety with thanks. I have read your review of the forum /debate; As you mentioned, yes there were Democrats there, and I would like to share the following as my perspective of the situation. As the forum progressed (I may be wrong) but I became to believe much was an “Orchestrated Manipulation” by the Democrats as outlined below. I arrived at approximately 5:45 pm, 1-1/4 hr. before the beginning. Johnny and his staff, and Mark Reed were already there. At that time the seating was only about ¼ full, and I sat approximately half-way back on the center aisle. As time progressed the seating was up to about ¾ full when Adam Schiff strutted in. At that time the majority of the audience let out a yell and applause to my amazement. Many got up including the gentleman that had sat next to me, to go and shake hands and/or give Adam Schiff a hug. Brad Sherman was the last candidate to arrive without fanfare. The debate started and progressed with the jeering, clapping etc. and continued with objections and threats from the moderator and the LWV President. During that time I noticed many of those Schiff supporters, including the person setting next to me had “turned” and were cheering Johnny and Mark while doing the harassment to Schiff and Sherman. I also notice your arrival was greeted by Adian, and sat in the front rows. I realize you were not able to observe the activities of many who were yelling, clapping, etc. Some were Republican who I recognized, but I believe many of those interrupters were “Plants” to cover and provide Schiff’s answers, etc. The only person that I observed who was removed was pointed out by an admitted Democrat who was seated across the aisle from me. As the harassers continued, the moderator would give either Schiff or Sherman extra time. She also called the meeting 25-minutes early and cut the questions….I believe out of so-called “Spite”. A correction to my noble correspondent’s account: I did not sit in the front row, but stood in the left hand aisle near the rear. What is clear is that the disruptions were staged by Democrat operatives posing as Republicans acting like a bunch of rowdy rednecks. The purpose of such a piece of professional agitprop was to embarrass Republicans who witness or view the video and make them reticent to express their views. The third and final example of a false flag operation revolves around the alleged mail bomber Cesar Sayoc. Sayoc change his political party just a few minutes after being identified as the bomber. Click the image to make it bigger. 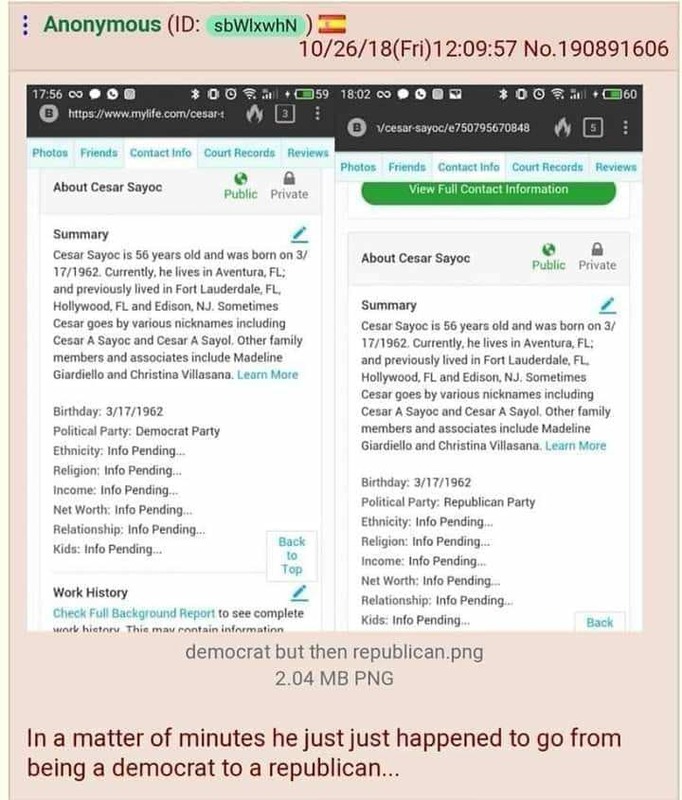 The image shows two screen shots of Sayoc’s information page taken a few minutes apart. In the first image he is a Democrat, in the second – presto changeo- he is a Republican. Huh! Now why would a man obsessed by political violence suddenly switch from the Party that advocates political violence to the Party that is the target of political violence while he is in custody? Not only why, but HOW? The man authorities allege waged a week-long reign of terror against prominent Democrats by sending crude bombs through the mail is reportedly a former stripper and bodybuilder who attended pro-Trump rallies — often sporting a red MAGA cap — and posted partisan rants online. And there’s this, because the media just has to keep the lie alive. The potentially explosive devices were intercepted in New York, Washington, D.C., Florida, Delaware and California. The arrestee himself has said they were hoax devices. I believe it from what I’ve seen and the authorities have confirmed it despite trying not to. They’ve confirmed it by how they have acted; they have not acted as one would act if it was a real bomb. Specifically nobody in their right mind sits around with a real explosive device that might go “boom” at any time and takes pictures of it while it sits on an ordinary office table. Uh, no. He also seems to like to steal (both of the grand theft and misdemeanor type), seems to have a history with roid-rage drugs and has been charged with ripping off merchants with fraudulent return schemes. Sounds like an upstanding member of the community. They won’t get him with “mailing an explosive” unless, of course, there was an explosive and from the evidence — there was no explosive. Next, that photo of him looks a bit…… light. I wonder why…. Third, how did all of those devices get out of the post office without a tracking strip (on the bottom; they add it if you don’t use machined postage that is barcoded) or hand-canceled stamps. Never mind that sort of package is supposed to be handed to someone, AND the lack of proper postage (irregular/non-machinable gets surcharged.) How did those all not get kicked back immediately at the original point. Then there’s the report that CNN’s was hand-couriered into the building. None of this adds up. These are for you to make copies and distribute. Each opens into a 8.5″X11″ flyer which you can print multiple times and distribute around places where you go. Stick a few under parked car wipers, put a pile in a Statbucks, pin them up on bulletin boards in laundromats and grocery stores, drop one in a neighbor’s mail box (you didn’t hear me say that), there are a million ways that you can spread this good, effective Republican marketing. Johnny Nalbandian is a Republican, that means he is being outspent at least 40 to 1 by his Soros funded Donk rival Adam Schiff. Giving him money is one thing, spreading his message at your own expense and effort is another. Our precious Republic and the benefits it brings us will not survive lazy patriots. It needs patriots who will take a small risk with a small effort to insure its blessings for ourselves and out posterity. 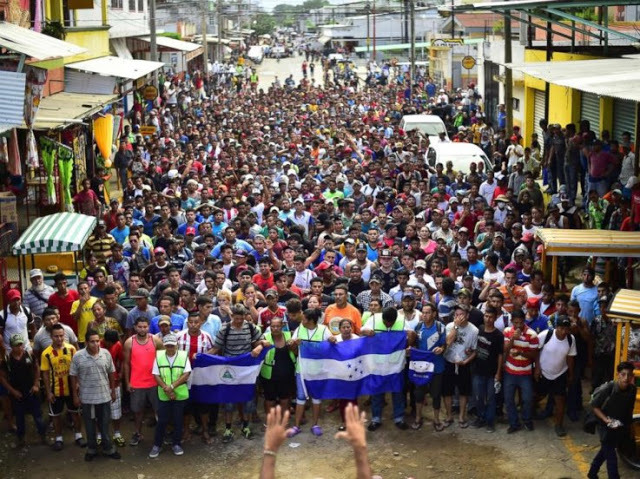 The Hondurans are coming, hurrah, hurrah! Its a long way to Teguchigalpa, the capital of Honduras, especially if you are walking with women and children. Soldiers can force march 50 miles a day for a few days. In order to cover the distance from their various starting points to the closest US border they would have to march some 2000 miles, that would be 40 days of forced marches. Virtually any military unit be totally exhausted long before the end of that march. Even covering that ground at a more reasonable pace, say, 20 miles a day, they would be exhausted and their footwear in tatters. But our worthy Hondurans are covering the distance at about 100 miles a day. At that rate getting to our border before the election will not be a problem. It is, as everybody knows, a Commie propaganda stunt designed to hurt the GOP in the upcoming mid term elections. So far it is failing. The only way it can succeed is if President Trump fails to stop it before it crosses the southern border. If it crosses the border before November 6 the GOP is done, Trump is done, the Republic is done. Even if it stopped before the election but allowed to cross afterwards the same result applies, only slightly delayed. Meanwhile we have another meeting of the Republican Club of the Foothills coming up. Y’all have been bugging me about a voter recommendation list. Obviously voting the straight Republican ticket is hard when both candidates for any given office are Donks, so in that case don’t vote for either one of them. Harder are the “non-partisan” offices when there is no clarifying capital letter after the candidate’s name. So after much consultation and some discussion, here we go. City measures become more granular than I can work with here. I invite y’all to express your opinions on the various city issues in the comments section below. Same goes for disagreements with what I’ve posted above, that’s what the comments section is for. Recommended long read: Fabulous thoughtful article by Andrew Codevilla, always worth reading. And, this, because it just too good not to share. Raucous. If Republicans everywhere are as fired up as the audience supporting Johnny Nalbandian and Mark Reed (running against Rep. Brad Sherman (D) in the 30th District) not only won’t there be a Blue Wave, there will be a Crimson Tsunami. I expect that there must have been some Democrats present other than the candidates Schiff and Sherman, but they kept it to themselves if there were. I was told by those who I suppose know, that this evening’s crowd was far livelier than usual. On the one hand it was nice to be among the vocal majority for once, on the other the Republicans were boisterous to the point that it was detrimental to the general proceedings and was ultimately not helpful to the Republican candidates. The rule was that if the supporters of one or another candidate disrupted the proceedings then the opposition candidate would be allotted additional time to speak in compensation. As a result the Democrat candidates got more air time. I am sure that Abe Lincoln and Fredrick Douglas would have been perfectly at home facing such a spirited crowd, when American civility was more bumptious than is common today. “Spirited” here being a euphemism for “rude.” Certainly my middle class gentility (make of THAT what you will!) was uncomfortable with the crowd’s high jinx. The moderator from the League of Women Voters, whose name I regrettably forget, had a tough gig. The crowd got away from her early and she never got them back under control. I must say, however that she did sterling work this evening, and she has one of the most impressive “You kids better behave” faces I have ever seen, even better than my mother’s whose gimlet glare was able to freeze charging bulls in their tracks and make them slink away whimpering in terror and shame. The questions posed by the League of Women Voters was OK. They weren’t able to get all the proposed questions as the disruptions of the crowd forced a delay of game. As I count it they were only able to get to eight of the proposed twelve questions. I found the questions framed in left of center terms (what else did we expect? ), and gave the candidates the opportunity to express their ideas. The two Demoncrats are both lawyers, and not surprisingly their answers were slicker than greased goose guano. They had nothing new to say, but spewed the Party Line in the usual way (Disinformation coming and going). The crowd must be devotees of this humble blog (there is no other way to explain it) as they howled with derision every time one of the Commiecrats let loose a whopper. Our two Republicans were a little rough around the edges, but acquitted themselves well. They were both able to express a solid commitment to Constitutional conservative principles in a believable way. Proposals to alter the Supreme Court and how Justices are chosen. Voting rights and voter suppression. Alterations to Obamacare’s individual mandate. The entire thing is available on the web at the Burbank City Council site, sorry, I don’t have the URL. I don’t propose to relate a blow by blow narrative, if you are interested Google, though not your friend, is still useful, look it up. Besides, its getting late, I have to work tomorrow and the Scotch is catching up with me. That’s way it is. This is Tamquam Leo Rugiens reporting for the Republican Club of the Foothills, good night. Agitprop, for those of tender years, is political (originally communist) propaganda, especially in art or literature. In the Age of Alinsky it refers to organized mass theater actions as well. In this later incarnation it is also referred to as ‘astroturfing.’ Propaganda is information, especially of a biased or misleading nature, used to promote or publicize a particular political cause or point of view. Taken together with censorship it is a powerful method of mind control, and by extension, population control. So it comes as no surprise that the Left has organized an October Surprise for the mid-term elections. And what a big, bold, agitprop it is, too! Starring unnamed donors, directors, with no leading men or ladies and a cast of thousands. The budget has to be in the millions! The cost to organize the logistics has to be fantastic. Now I grant that in the absence of the usual credits we are forced to fall back on attributing this whole thing to the usual suspects, especially in view of the fact that the Donks are being suspiciously silent about the whole thing. It is clear that it is an attempt to embarrass the President and by extension the GOP so as to hurt their chances in the midterms. I think we can safely rule out any collusion between Trump and the Russians this time around. Oh! Pardon my gaffe. Did I just say ‘collusion’? My bad. No collusion here folks. Nope, no collusion at all. 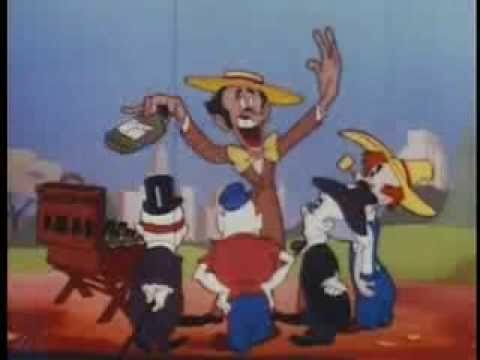 Ain’t nobody here but us Commies, and we ain’t sayin’ ‘Boo!’ ’bout any of this. No sir! We’re just as ‘surprised’ as you. Why, we didn’t know nuffin’ ’bout this till we read it in the papers just like you! Honest Honduran! It just so happens that thousands of Central American people up and decided at the same time that it would be cool to walk to El Norte (that’s Spanish lingo for USA to you gringos) to demand jobs. So consumed with the brilliance of this idea were they that they spontaneously broke down the wall between Honduras and Mexico. How wonderful that Mexico has a border wall and they’re not even racist (much), unlike us racist Americans who don’t have one but want one, proving that we are racist. You believe that, right? Right? Well you better, you racist! Moving at the speed of political necessity. So it’s not an invasion, its a caravan sans camels. 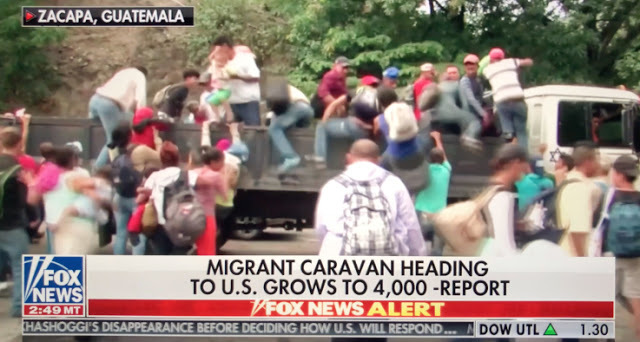 Just because 80% of the caravaners are healthy military aged males doesn’t mean that this isn’t a random collection of ordinary folks. Say, wait a minute, Where have we seen a vast number of people walking from one country to another in which military age males are preponderant? I got it! The millions of Muslim refugees that are devastating blessing Western Europe with monocultural diversity. I say again, NOT an INVASION! You WILL NOT notice the director’s hands nor the guys in yellow vests. This is SPONTANEOUS! And its TOTALLY SPONTANEOUS. 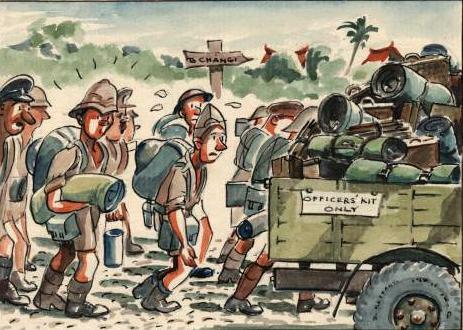 In military circles it is said that amateurs talk about tactics, professionals talk about logistics. So all these people are being fed, watered, sheltered, guided and generally supported without a well developed logistical tail. Its a miracle, I’m telling you! Jesus fed 5,000 for a day with 12 loaves and 5 fishes, but the Commies can feed easily twice as many with good, honest, from each according to his ability, to each according to his need. Commies got Jesus beat! Maybe somebody should ask Adam Schiff what he thinks about this tonight. Maybe it could be you. Just kidding. Adam Schiff thinks what his funders tell him to think. Ask them. Don’t forget the monthly meeting of the Republican Club of the Foothills on Friday, October 26 at 7.00 PM in the La Canada Community Center. History is the record of the rise and fall of civilizations. 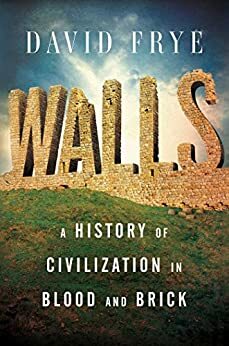 Wherever civilization has existed there have been walls. Walls defend those within from the ravening barbarians without. No walls, no civilization. Where walls are breached civilizations fall. Sometimes all we know of a fallen civilization is nothing more than the barren ruins of a people of whom no other record exists. It turns out that there are a lot of those. In our own time the Left is calling on us to voluntarily tear down our own walls. It is a call to national suicide. The argument they put forward is that compassion ought to compel us to simply allow the barbarian hordes fleeing their collapsing civilizations to shelter among us and that by so doing we will be enriched and enhanced. As if by welcoming within our walls a foreign people who share with us neither language, nor culture, whose average education is the 3rd grade, whose average IQ (81) is below the standard acceptable to the Army (83), who have shown themselves utterly incapable of maintaining their own civilization, we will be made great. Yes, they will reliably do the one job Americans won’t do, electing Democrats. Not only do we have enough morons of our own, we have an educational system that is turning them out by the carload lot. We don’t need to import them. To suggest that we do is an affront to the Teacher’s Union, and I’m surprised (NOT!) that they aren’t howling about the insult. Here’s another meme for you guys. Print a few copies, and leave them around where your friendly neighborhood barbarian lovers will see them. For extra fun video their heads exploding when they see it. And for an automatic A+ get your neighbor’s kids to upload that video to the internet for you. As the Donks devolve further into their Millenarian Marxist Madness it is essential that we, who understand the stakes of the upcoming election exert ourselves to the utmost to prevent the barbarians from crashing the wall WE HAVEN’T BUILT YET and put paid to the barbarians already in our midst. Plenty of lead time, so no excuses. Vote responsibly, be informed. Stop the madness!